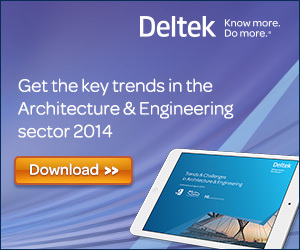 Our recent report into the Trends and Challenges in the architect and engineering industry, in Australia and New Zealand and globally, reveals that AE firm leaders believe the most important success factor is building long-term relationships and invest in the technology needed to provide this. 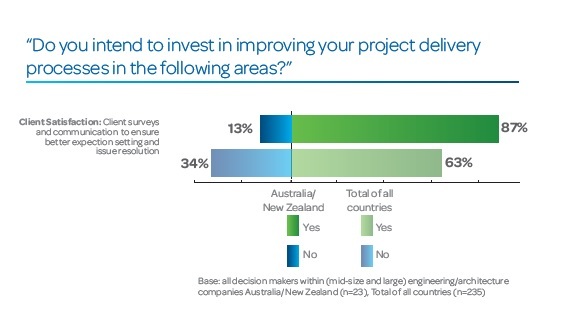 A massive 87% of architects and engineers interviewed in Australia and New Zealand reveal they will invest in client surveys and communication to ensure better expectation setting and issue resolution. Additionally, over the next 18 months it was found that 100% of engineering firms are looking to make a technological investment. This collective emphasis on improving client satisfaction and expectation of investing in technology, demonstrates that AE firms want to improve their services and central processes, all with the aim of gaining that competitive edge. How do you compare? If your peers are looking at ways to improve the services they offer, is it not time you see how you compare? Read the complimentary report to obtain greater transparency and improved visibility through sharing knowledge, insight and statistics. Categories: Architect, Business development, Engineering, Project Management, Smartsoftware | Tags: #AETrends, AE Report, client satisfaction, Invest, technology | Permalink.